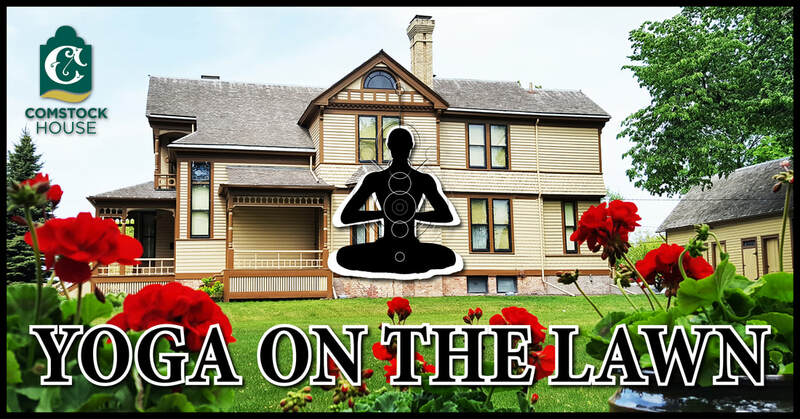 On Monday nights at 6:00PM* throughout the summer, we’re hosting certified yoga instructor Amanda Nordick who will lead outdoor yoga classes designed for all levels of ability on the Comstock House lawn. A limited number of yoga mats will be available, but we encourage you to bring your own (and your own water bottle). Classes will be canceled in case of rain or low temps (below 60 degrees), so watch our social media pages for updates! General admission is $5 (Free for HCSCC Members).